Merlin's Beard! Be careful - chocolate frogs only have one good jump in them! 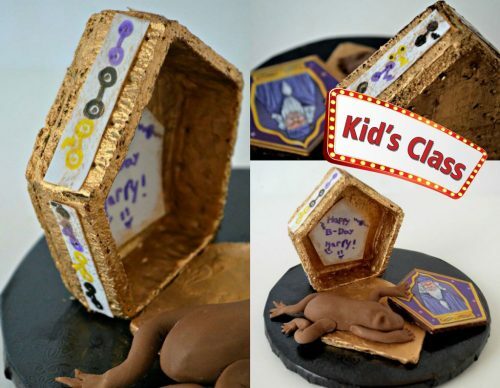 In this project class, Chef Mitchie is going to teach us how to create a chocolate frog and edible trading card. We're going to learn several techniques: hand modeling with fondant, applying edible fabric to fondant, and hand painting. 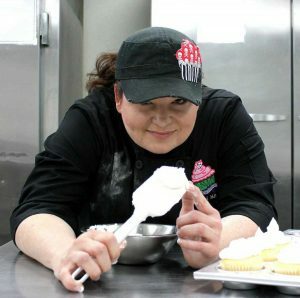 Chef Mitchie will demonstrate how to magically turn cookies into an edible box with her wand (just kidding there will be chocolate!) This class is awesome and though designed for kids ages 8 and up, adults are welcome to sign up too. Can't wait to see you! Most supplies provided by instructor. Students should bring: a wand!, an apron, 6" X 6" X 4" inch box to take completed project, notebook, pen/pencil, and a BIG smile. If you'd like to personalize your trading card - email a selfie to Chef Mitchie no later than 3/15/19. Other magical characters will be provided as well. A wand!, an apron, 6" X 6" X 4" inch box to take completed project, notebook, pen/pencil, and a BIG smile. If you'd like to personalize your trading card - email a selfie to Chef Mitchie no later than 3/15/19. Other magical characters will be provided as well.